In Boerne, our lawns are very personal and dear to us. We understand that lawns are the building blocks of some of the best memories of our lives – from teaching our children how to ride bikes (and giving them somewhere softer to fall) to holding wedding receptions to just sitting outside and enjoying the warm sun after retirement, so much of your life is lived on a lawn. At Boerne Landscaping Pros, our team knows and makes those memories as well, which is why we take special care with your residential lawn care. Our team works to provide you with a lawn that is ready for anything that life throws at it. We learn more and practice our skills everyday so that when we come to your home, we know the tools and tricks to getting the job done quickly and properly. Our work is a collaboration of years of learning and refining out skills. While we are on your property, we treat it like we would our own, ensuring that your yard is safe, clean, and even better than we found it. If you want hometown courtesy with a vast amount of experience, give us a call today to get started. Lawn service is one of the best ways to ensure that your home looks as good as you want it to. The lawn is the largest portion of your yard, and so much of what happens there impacts the rest of your yard. Any diseases or problem areas can quickly bring down trees and flower beds, and our lawn maintenance team is always on the lookout for any problems. Far too many people will just cut their lawns without care, damaging precious root structures, disturbing animal nests, and even scalping their lawns and inviting weeds to move in and settle down. Lawn care is also a simple way to impress your neighbors, friends, potential buyers, and even your father-in-law while doing what is best for your home. 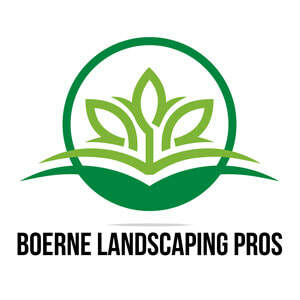 At Boerne Landscaping Pros, we always start by walking through your yard, looking for any hazards or something we need to take a closer look at before starting the lawn care. We want to fully understand where your yard is, even if we have worked with you for years. Each trip is a different experience. Lawn care is more than just mowing your lawn – it is edging, cleaning up, aeration, sod installation, and so much more. 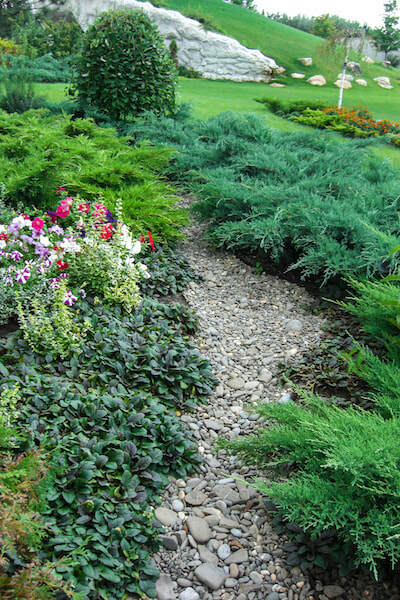 Each step we take is to make your yard more beautiful. Of course, mowing the lawn is key – and that is harder than it might seem. Hills, divots, root structures, gardens, hardscaping features, landscaping design, and more make mowing the lawn tricky for some people. The best tools for the job are often expensive and difficult to use – which is why professionals undergo so much training. If you have a lawn with many features, it is in your best interest to keep all of the lawn care to the professionals. Each lawn is different, which is why we do not have a “one size fits all” model for our lawn care plan. Some lawns need quite a bit of maintenance at first, and eventually won’t need as much. Others have difficult terrain or need some special equipment. We will talk to you about your lawn maintenance and then give you an estimate for your work. Then, we can talk to you about any additional costs, if there are any, or how we can trim costs into the future. At Boerne Landscaping Pros, we understand that everyone has a budget. We will try our hardest to work with you within your budget so that you can feel comfortable enjoying your space. The yard of your dreams is possible, you just have to get the right tools to do it. At Boerne Landscaping Pros, we believe in the power of simple steps. You don’t have to do a complete overhaul if you don’t want to, and you don’t have to be signed into a contract. Instead, we can take things day by day to work towards the yard that you want. To find out more abut how we can help you, contact us today.